Lots of airlines allow you to fly with your pet in the cabin as long as the carrier can fit under the seat, which means, only smaller dogs and cats can travel with you. Larger dogs end up in the cargo hold or other area of the plane and as we’ve read in the past, sometimes those areas are too hot or too cold for the animals. American Airlines has had policies in place where during some of the hottest months of the year certain breeds of dogs and cats are not allowed to fly because they are concerned about the safety of the pets. Specifically, pets that have squishy faces like pugs, persian cats, and bulldogs are at risk when air pressure and temperatures are high on a plane. 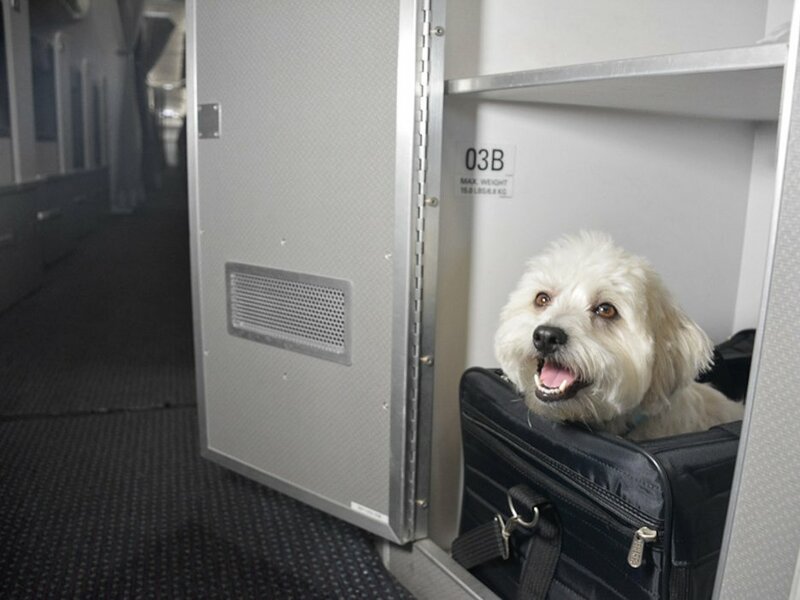 Now, American Airlines has taken their concern about pets a step further and is creating pet cabins, where owners may easily secure a carrier. At the moment, select flights from JFK in NYC and San Francisco are offering these special areas in the cabin. For more information on the restrictions and new policies, read the rest of the news at Conde Nast.